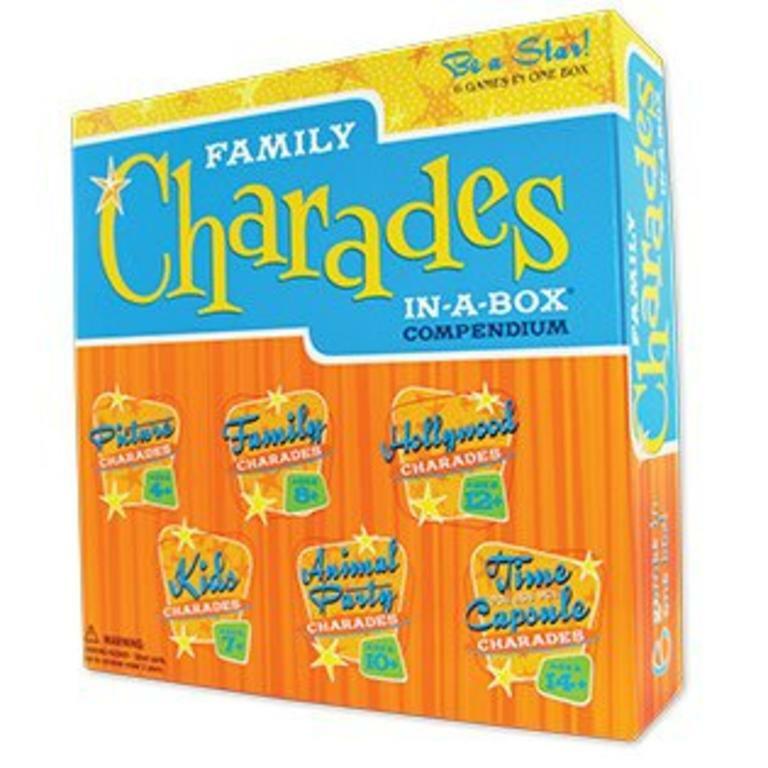 In one big box you get six age appropriate themes with both easy and challenging charades for different interests. You might say, "It's just Charades?! ", but not this theme packed charades game! 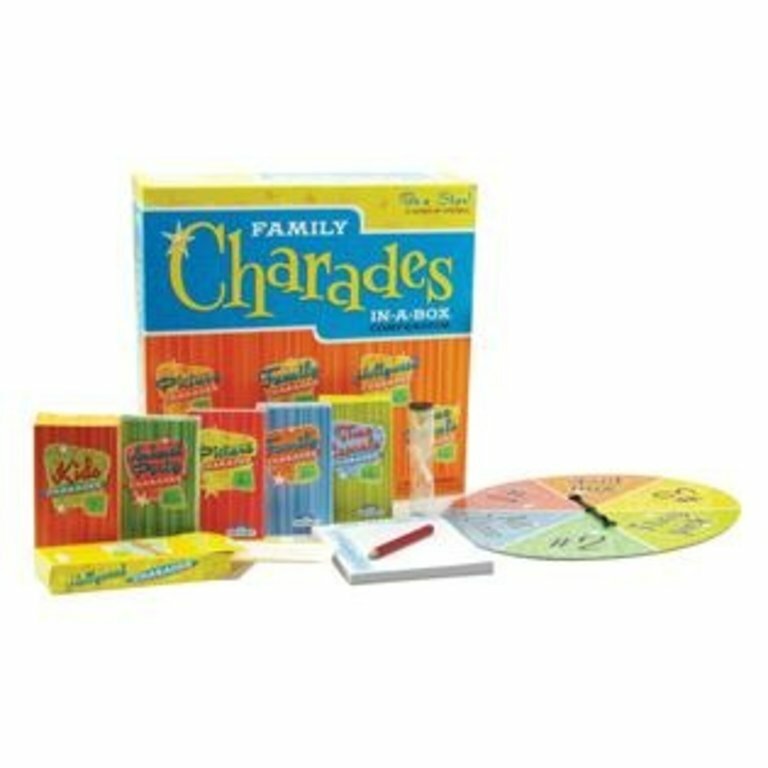 Family Charades In-A-Box Compendium is a party game that has been honoured with a Learning Magazine 2013 Teachers' Choice Award for the Family, which means it's been game tested and approved by families! 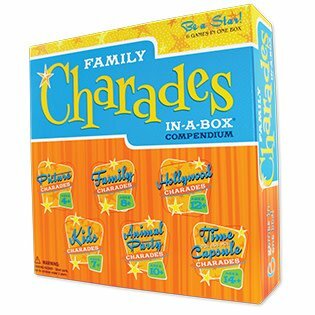 In one big box you get six age appropriate themes with both easy and challenging charades for different interests. Do you have wee ones who don't read? No problem because this party game includes picture only charades! There are six different themes: Hollywood, Time Capsule, Animal Party, Family, Kids, and Picture Charades; it's a party game for all ages and tastes! Permission granted to act out! Family Charades Compendium includes 4 different charades games. This travel size card game lets you act out whether you're at home or on the way to grandma's house! Do you hate charades? So does this game. Except it's a charades game.